When it’s your child’s birthday, you want to leave nothing to chance when it comes to making the party perfect and Jump On In is here to help. Jump On In offers party packages to fit your every need, ranging from smaller parties in a 1.5 hour time frame to 2-hour party extravaganzas including everything from pizza and balloons to goodie bags. All of our birthday party packages include free, unstructured play on our huge selection of inflatables and other jumping equipment. Plus, you can add extras to make your party just right for you. Best of all, just leave the clean-up to us! Great sound system – popular music or bring your own! Not celebrating a birthday, but still want to have fun? Form your own groups and c’mon over for some fun! Discounts available for larger groups! 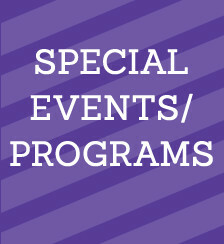 Jump On In offers other programs including Jump & Learn Programs, Open Gym, Field Trips, Sports Team Celebrations, Fundraisers, Corporate Team Building and more! Jump On In Welcomes Shared Parties! Jump On In can accomodate 25 children per party with plenty of room for two groups to play if you share a party! Share a party with a friend! Join, interact, have fun! Split the price and enjoy the same fun-filled party! 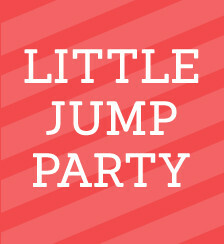 At Jump On In, even our shared parties are private! You’ll never have to share our space with someone you don’t know! 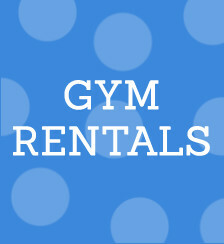 Need Separate Gyms or Party Rooms? Weekdays are Wonderful! Share a discount with a friend, neighbor, sister, etc.! Sometimes you need two parties but you want to keep them separate. Maybe a brother, sister, cousin or neighbor may have a similar birthday, but each child may want to have his or her own party. No problem! 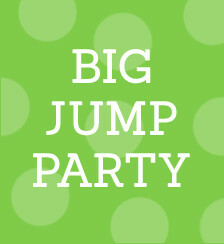 Book two Big Jump parties at the same time and receive a discount on the second party (contact your nearest Jump On In facility for details). Same time, two separate gyms, two separate parties, two happy families. A waiver form must be signed for each participant entering the gymnasium area. Anyone using the equipment must wear socks! Some equipment in certain locations may not be used by children under 42 inches tall (check with your nearest location for specific restrictions). You may bring your own cake, soft drinks or snacks to Jump On In, but no food or beverages are allowed in the gymnasium areas. If you’d like pizza with your party, please call us with your order. Since we have an exclusive arrangement with our local pizza shops, we do not allow you to bring your own pizza to Jump On In. This allows us to perfectly time the delivery of your pizza so it’s fresh and hot for you and your guests! Cancellation and Rescheduling Policy: Deposit payments are required for all parties and are fully refundable if you cancel your party 21 days or more before your party date. Cancellations or reschedulings made less than 21 days before your party will result in a loss of your deposit as it will be very difficult for us to re-book your spot on our calendar if you cancel or reschedule at the last minute.